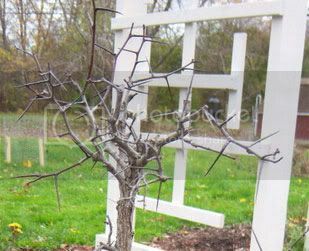 Best time to Trunk Chop a Hawthorn? I've got a tall found Hawthorn that is in need of a chop. There is absolutely no taper in the trunk at all, and the branching is less that desirable. As of right now it is probably a good 3 feet tall, and I am thinking of cutting way back down to the lowest branch which would leave maybe 4-5 inches of height (could be a over estimation). All of its leaves have dropped. So I am curious to know if now or sometime in the near future would be appropriate to chop it that far down, or if I should wait for the spring. Looking at the top, I'd want to air layer it. I agree with the air layer idea. Which should wait until spring. However, I would hold off on your trunk chop until the following spring if you do that. If you're more anxious to chop it sooner, than this coming spring would be best. I think I might go with the air layering idea. The last time I attempted it however, it was a failure (probably because I got too impatient). When doing so, do you cut down to the green layer, or the white underneath? You cut through to the white, shiny layer. I even scrape the white layer a little in order to remove the cells that might aid in the wound healing over. If you did not cut deep enough that would account for your previous difficulties. 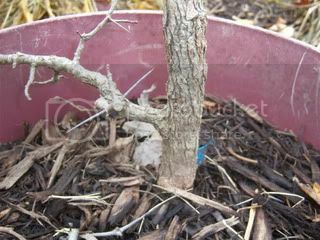 So if I understand you guys the ait layering will give the Bonsai artist a new tree to work with in this case the top of the tree which as I see it has really nice taper potential going? Then he has the oppourtunity to play with the lower portion of the tree as well. That is correct. However, the two trees will require some rest after wards, as they would have both expended a lot of energy during the air layer. 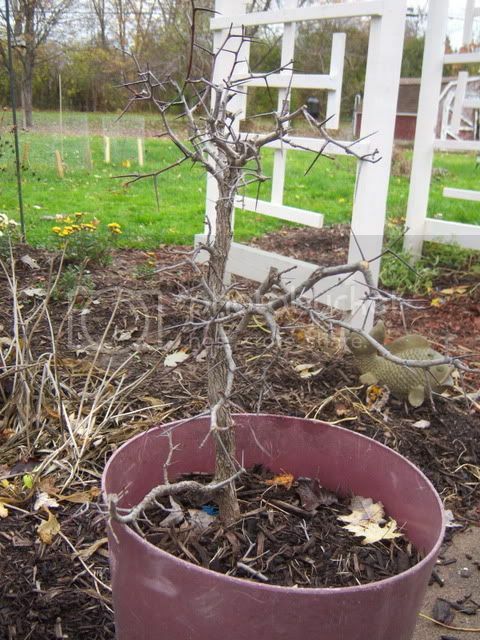 I also have a tall Hawthorn -- straight as a pencil but a pencil that is about 3.5" in diameter. I am interested in your air layer success with your Hawthorn. Can you tell us how the tree progreesses as you approach the air layer? Can anyone reading tell me if Hawthorns readily air-layer wuth success?